The 1400m course is from the Middle Brighton Pier, around the Royal Brighton Yacht Club marina and breakwater, to the beach in front of the Royal Brighton Yacht Club. The pier, breakwater and the walkways provide unrivalled spectator viewing. Music and food stalls will be provided on the lawns adjoining the pier and baths. 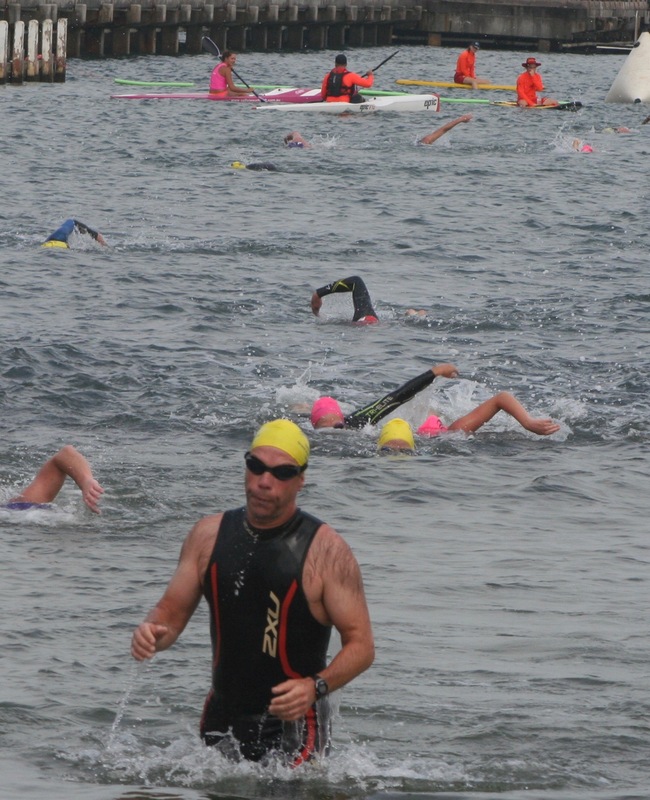 The open water swims comprise male and female age divisions and an Open Division (any age can enter). Swimmers will receive a colour-coded swim cap and an Aquashop gear bag containing Sunscreen and a sports bar. At the finish, swimmers will receive a Bulk Nutrients sports drink or water, fruit and frozen yoghurt. The on-line entry price includes a raffle ticket for a travel and accommodation package to Bali and secondary prizes (total value $3,500), for the first 1,000 swimmers in the Open Water and Intermediate Swim events. The first 1,000 entrants will also receive a Swimland Great Australia Day Swim T Shirt. For detailed Swim Instructions, click here.